Amicia Glow: PRODUCT REVIEW #4: Umberto Giannini Curl Friends Oil. 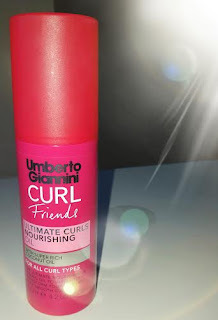 PRODUCT REVIEW #4: Umberto Giannini Curl Friends Oil. -with super rich coconut oil. Do you ever get sucked into offers? 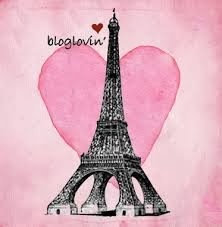 Such as buy one get one free known as BOGOF in retail! Or 3 for 2 or buy one get the second half price etc... I am pretty sure this is how this hair product ended up in my basket in boots a few weeks ago on a shopping trip. Now I must say that Umberto Giannini is my number one company when it comes to hair products. I literally don't know what I would use if not for their gels, creams, mousses etc etc..... And now this. I was on the hunt for a hair oil although it wasn't essential for me but I wanted something to give an extra bit of TLC to my curly locks. My hair takes a beating most weeks with it getting washed nearly every single day, when training my hair ends up soaked with sweat, yes! But that's a good complaint right, sign of a solid work out right?... Maybe haha. And I also have a mass of curly wavy hair which without everything else I put it through, it is naturally dry and in my case VERY dry. So like I said I fell totally for the special offer and bought myself this oil and.... IT. IS. TO. DIE!! Its so good. It promises to deeply nourish thirsty, dry hair, banish frizz, smooth and shine curls. That's what it says on the 'tin' :) And to be quite frank it does just that. How I use this is I brush out my towel dried wet hair I take about 5 pumps I know that sounds a lot however I have a lot of hair and I like to make sure I have it covered evenly WITHOUT making it greasy and I let my hair dry natural. I love the results I get with this. My curls are genuinely more defined and it gives my hair a lovely shine. I use this twice a week if not more and I would use ONLY this! -This is a 125ml bottle, Now that's pretty generous as far as hair oils go so I harbour no guilt on using 5 pumps of this on every application. This bottle goes a long way!! -Its very easy to apply and it takes all of 2 minutes! Ideal for us busy women. -Love the packaging. I love anything with a pump when it comes to hair and makeup products. -and last but not least, coconut oil is hugely beneficial to the hair along many other parts of our body and thats whats in this little gem. -Honest to goodness guys I cannot fault this product. Umberto Giannini has nailed it!! Now to pray in hope that it is never discontinued ha. Will I be repurchasing this?